06 Şubat 2019 Çarşamba 15:00 - 2 reads. 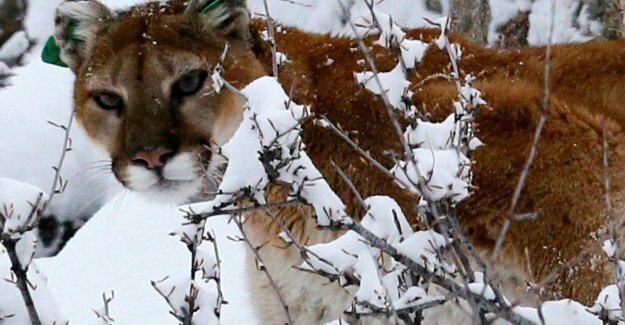 Animals A man who is in the American state of Colorado in the Rocky Mountains to the walk, has a fight on life and death delivered with a young cougar that him suddenly attacked. The man injured but managed to get it in the predator to kill. Report this to the local authorities, which indicate that the self-defence went. The man, whose identity was not released, ran a so-called ‘trail run’ - a sport that consists of running and hiking over hilly trails - a trail in Horsetooth Mountain Open Space. That is a park about 100 km from the city of Denver. The jogger could still go to the hospital go, where he was admitted with serious injuries. He is however not in danger. How large the cougar was exactly is unclear, because other animals are fed with the carcass for the parkmedewerkers on the spot came. Presumably it was a male. According to local newspaper The Coloradoan weighed the animal 36 kilos. The remains of the animal were transferred to a laboratory for an autopsy.